Ms. Anupama Bhardwaj from TYBSc Mathematics has been selected for Integrated Ph. D. program at Tata Institute of Fundamental Research, Banalore. Also, Mr. Soham Gokhale from TYBSc Mathematics has been selected for Integrated Ph. D. program at IISER, Thiruananthpuram, Kerala. Ms. Rekha Khot who topped B. Sc. in June 2014 at Savitribai Phule Pune University cleared CSIR with rank 66. She is currently studying at Savitribai Phule Pune University. Her batchmate Mr. Mayuresh Londhe, currently at IIT, Madras cleared CSIR with rank 67. 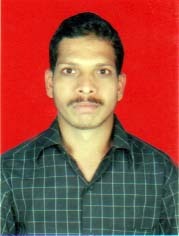 He also got National Board for Higher Mathematics Scholaship to Pursue Ph. D. in Mathematics. He also got admission to do Ph. D. at IMSc, Chennai. 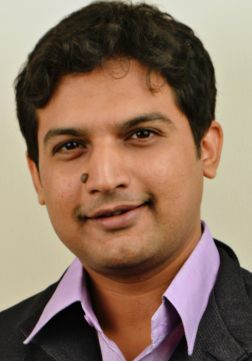 Mr. Aditya Subramaniam who did B. Sc. in 2013 also got National Board for Higher Mathematics Scholaship to Pursue Ph. D. in Mathematics. Apart from this, Mr. Ashutosh Pandey (SYBSc), Mr. Sagar Shinde (TYBSc) and Ms. Aditi Iyer (TYBSc) have been selected to participate in Taining program in Mathematics at NICER, Bhubaneswar while Mukund Thakare has been selected to participate in Mathematics Training and Talent Search program at IIT, Madras. is funded by Indian Academy of Sciences, Bangalore. Apart from this, all the students who are in third year of postgraduate program in Mathematics (M.Sc. (Industrial Mathematics with Computer Applications)) got 100% placement. The subject Mathematics was started in Fergusson College at the time of its establishment. The department has contributed to the glorious history of Fergusson College in its unique distiguished manner. The department is proud to list the following Eminents Personalities and Social Reformers. Mathematics Olympiad activity at State, National and International Level. Bhaskaracharya Pratishthana was established and housed in the department at the initial stages. The department is in Interaction with Research Institutes and Industry. The Departmental Library is funded by NBHM. The Department started new Post-Graduate Course, with CS Department, M.Sc. (Industrial Mathematics with Computer Applications). Within a short period of time, the course has established its own reputation in Software and Process Industry.